Built in 1927 as a retirement home for the Brotherhood of Railroad Conductors, the “main building” today serves as an educational center for the surrounding Oatland Island Wildlife Center. It is quite typical of institutional architecture of its era and subsequently served as a Public Health Service hospital in World War II. 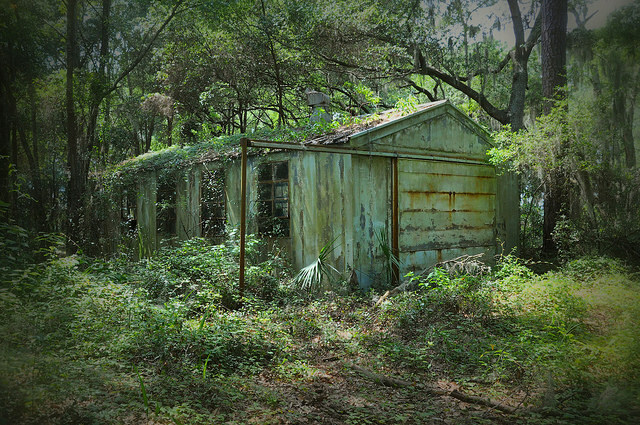 Until being surplussed in 1973, it was used as a development laboratory by the Centers for Disease Control. 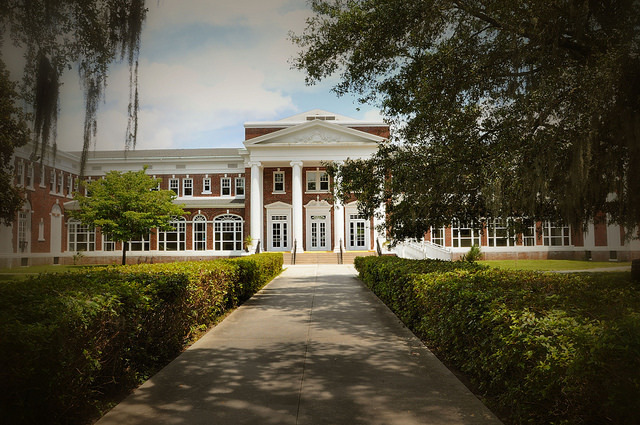 The Chatham County Board of Education has owned it since then and it serves over 20,000 students and visitors each year as a wildlife education facility today. To movie buffs, the building may be familiar to viewers of the John Travolta movie, The General’s Daughter, as it was used as a set location. And Martha Barnes adds this interesting bit of Savannah trivia: People who read Midnight in the Garden of Good and Evil will remember the main building as where Luther Driggers worked and actually developed the chemical used in today’s flea collars, but in the book he was always about to poison Savannah’s water supply. 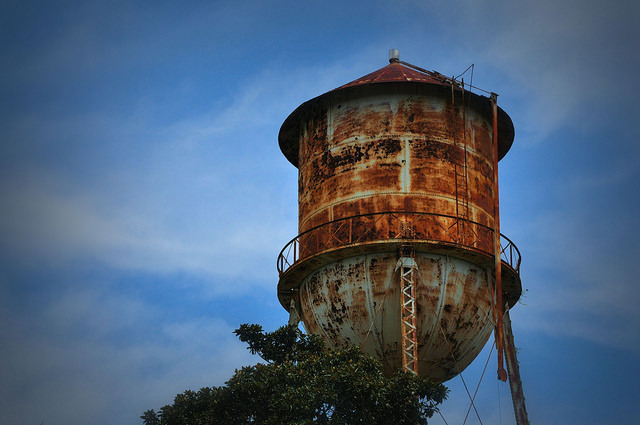 Carol Suttle, a Savannah native and Oatland’s most enthusiastic ambassador, contacted me several months ago about photographing the old water tower at the entrance to the center; it’s scheduled to be demolished and it’s one of her favorite structures on the island. Touring the island and its natural features with Carol and photographer Mike McCall was a real treat, and I hope to revisit in the future. 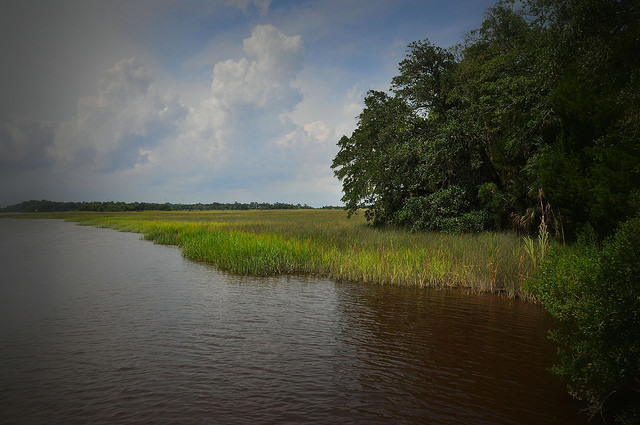 Located just past downtown Savannah on the Islands Expressway (US 80), it’s often overlooked by tourists heading to Tybee Island but is well worth a visit! See the link at the end of this post for specifics about admission and other particulars. 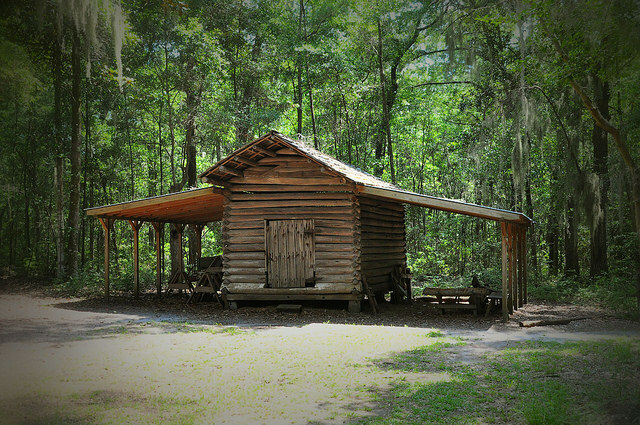 David Delk, Jr., built this cabin in 1837 in the Taylor’s Creek community near Gum Branch in Liberty County. 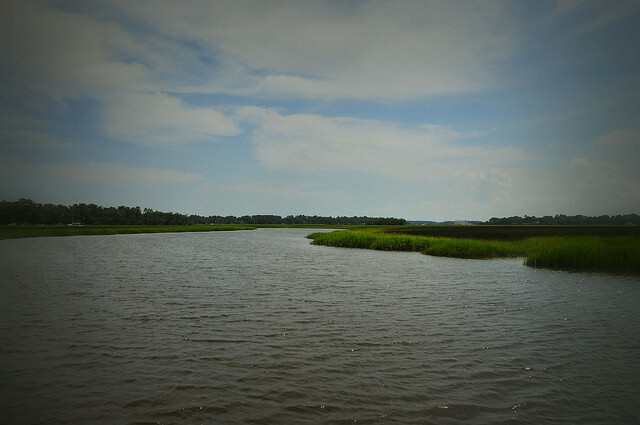 It was moved and reconstructed here by the Youth Conservation Corps in 1979. The layout is of the Scots/Irish or “shotgun” design (not to be confused with the more common and more recent shotgun “house”), a vernacular form common in early Georgia. 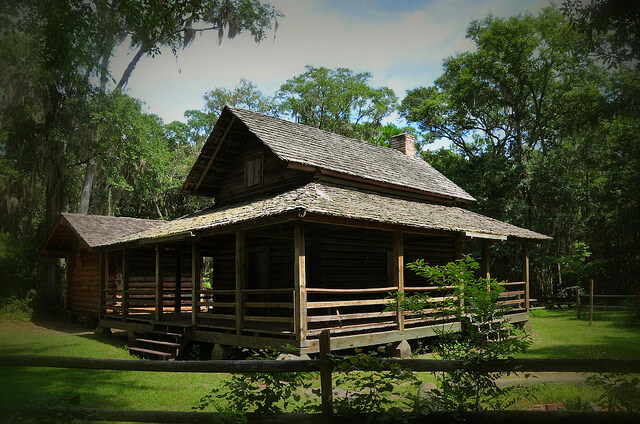 Martha Phillips Youngblood writes that the corn crib pictured above was originally owned by her grandfather, Thomas Hilton Phillips, and was moved here from Treutlen County. 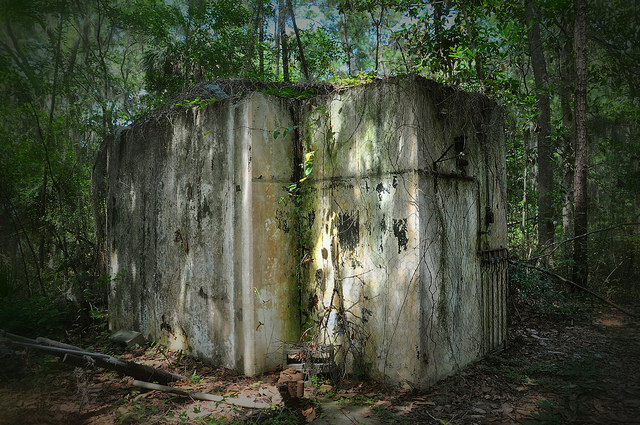 The two abandoned structures pictured above are remnants of the bureaucratic era on the island. 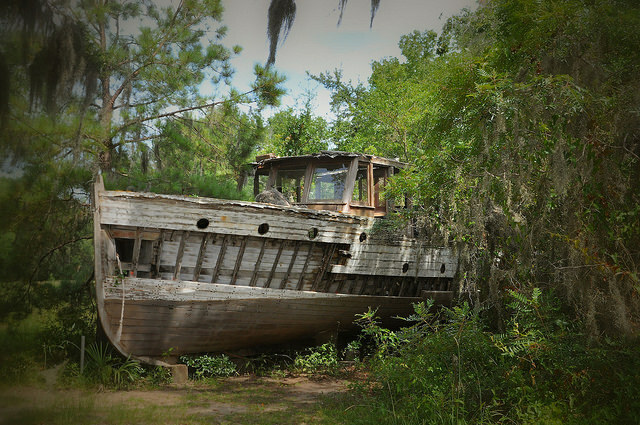 A hand-crafted boat from the 1970s can also be seen on the property. 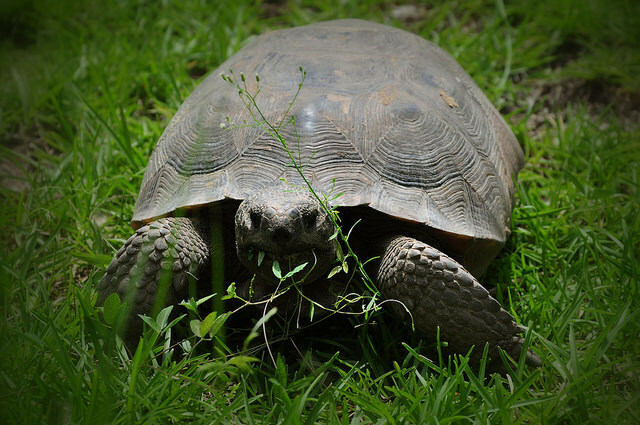 Gopher Tortoises (Gopherus polyphemus), as well as wolves and bison can be easily seen on the property. Beautiful Richardson Creek runs adjacent to the island.